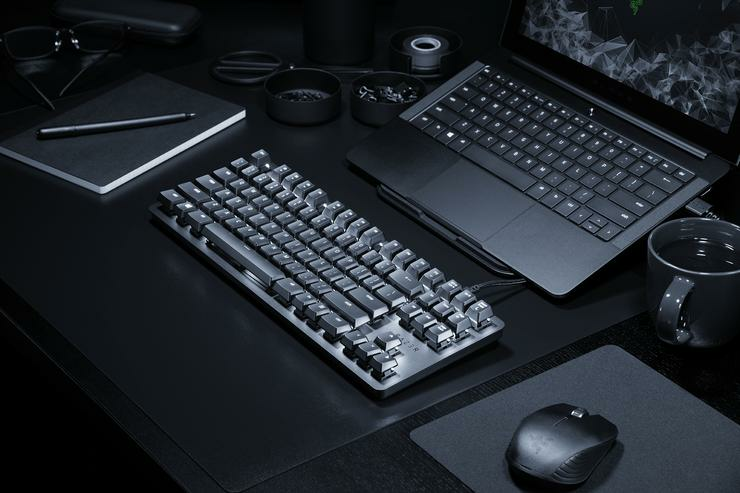 Razer have announced the BlackWidow Lite, a keyboard aimed at office workers. The BlackWidow Lite features the silent but tactile Orange Mechanical switches, and o-rings to dampen sound. Each switch is tested for durability of up to 80 million keystrokes. “We play hard, but we work just as hard,” said Min-Liang Tan, Razer co-founder and CEO. The Razer BlackWidow Lite has a compact, tenkeyless layout and includes a detachable braided cable for storage and portability. Individually white-backlit keys on the keyboard also help enable productivity in low light, with fully adjustable brightness controls. The Razer BlackWidow Lite is available for $149.95. For more information, visit http://razer.com/blackwidow-lite.